The turmoil in financial markets that resulted from the 2007 subprime mortgage crisis in the United States indicates the need to dramatically transform regulation and supervision of financial institutions. Would these institutions have been sounder if the 2004 Revised Framework on International Convergence of Capital Measurement and Capital Standards (Basel II accord)--negotiated between 1999 and 2004--had already been fully implemented? Basel II represents a dramatic change in capital regulation of large banks in the countries represented on the Basel Committee on Banking Supervision: Its internal ratings-based approaches to capital regulation will allow large banks to use their own credit risk models to set minimum capital requirements. The Basel Committee itself implicitly acknowledged in spring 2008 that the revised framework would not have been adequate to contain the risks exposed by the subprime crisis and needed strengthening. This crisis has highlighted two more basic questions about Basel II: One, is the method of capital regulation incorporated in the revised framework fundamentally misguided? Two, even if the basic Basel II approach has promise as a paradigm for domestic regulation, is the effort at extensive international harmonization of capital rules and supervisory practice useful and appropriate? This book provides the answers. 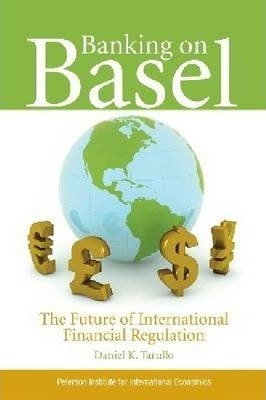 It evaluates Basel II as a bank regulatory paradigm and as an international arrangement, considers some possible alternatives, and recommends significant changes in the arrangement. Daniel K. Tarullo is a member of the Board of Governors of the United States Federal Reserve Board since January 28, 2009, in which capacity he also serves as the chairman of the Federal Financial Institutions Examination Council (FFIEC). He is also a professor at the Georgetown University Law Center. He specializes in international economic regulation, banking law, and international law.